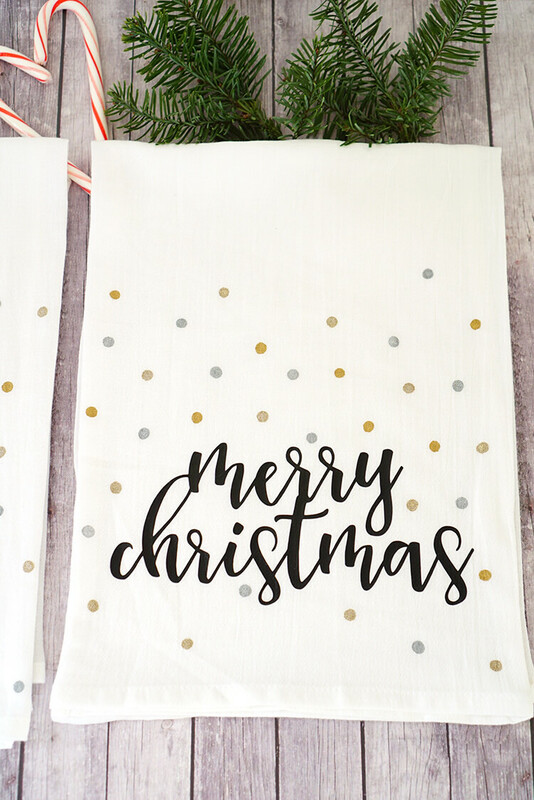 These cute Christmas tea towels are a quick and easy beginner project for the Cricut Explore Air cutting machine! Just add heat transfer vinyl, and your design options are nearly endless! Last week I introduced you to my newest cutting machine, the Cricut Explore Air, and I showed you how to create a Quick and Easy Customized Pencil Pouch (which makes a great gift idea!). 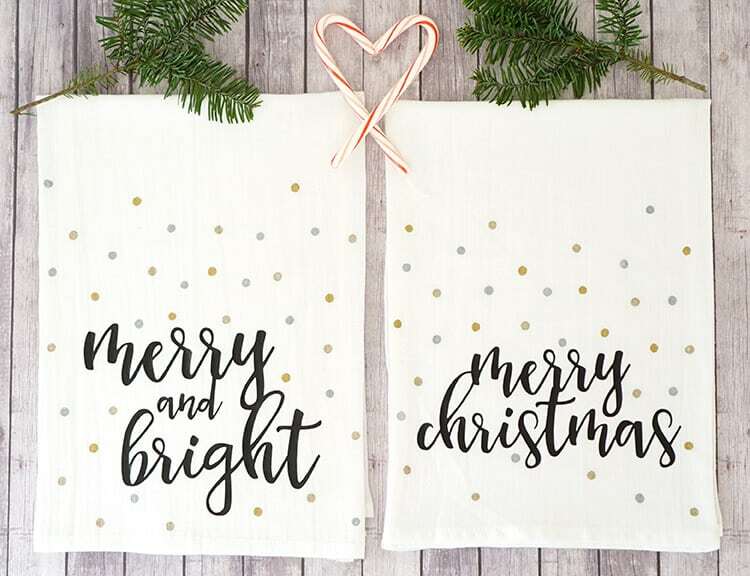 Today I’m using the same techniques to create these totally adorable Christmas tea towels which ALSO happen to make a great gift idea! 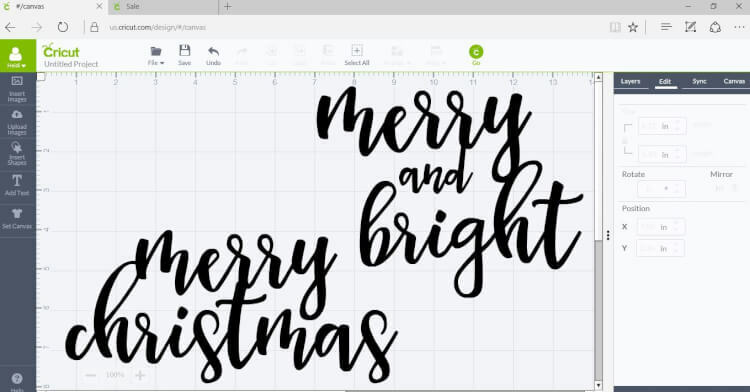 To start, I opened up The Cricut Design Space and started a new project. 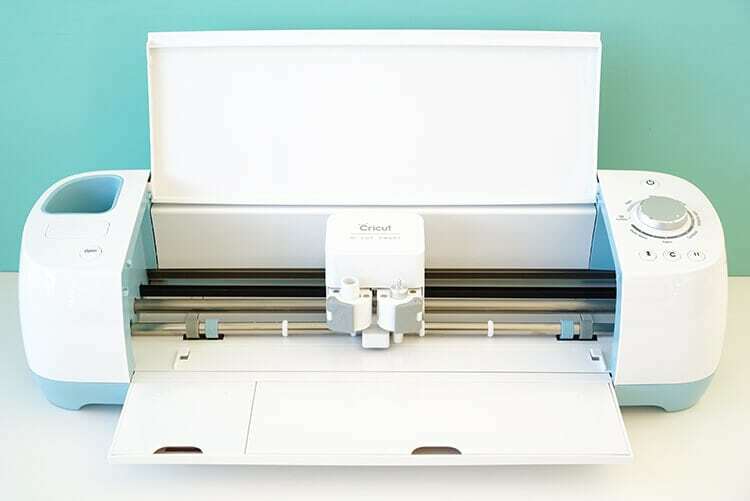 The Cricut Design Space Image Library includes over 60,000+ images that you can choose from, so it’s easy to start designing your project in no time at all! Just click to select the image that you wish to work with, and the software will insert it into a new project document. 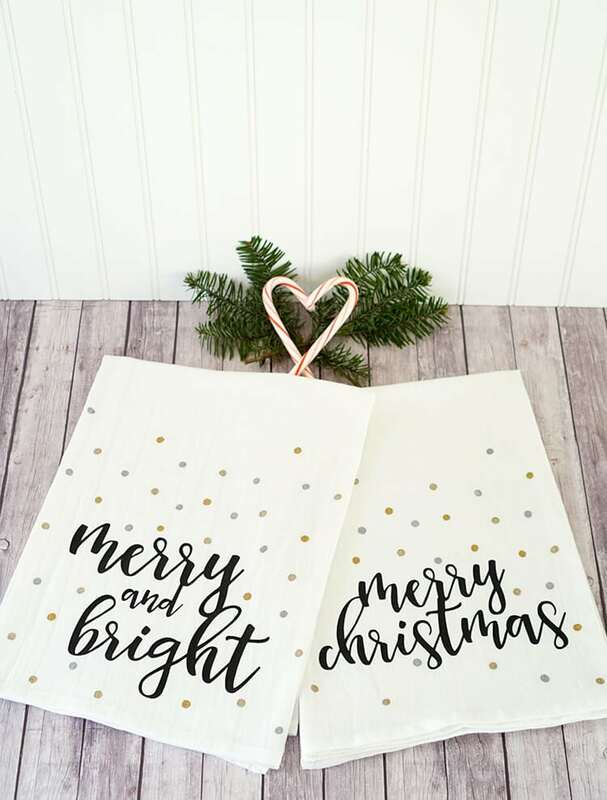 I chose these awesome hand-lettered “Merry Christmas” and “Merry and Bright” designs for my tea towels and arranged them on the project document to fit my sheet on heat transfer vinyl. One of my favorite features of the Explore Air is the dial settings (you don’t have to worry about manually changing the blade depth or remembering which depth matches up to each material!). 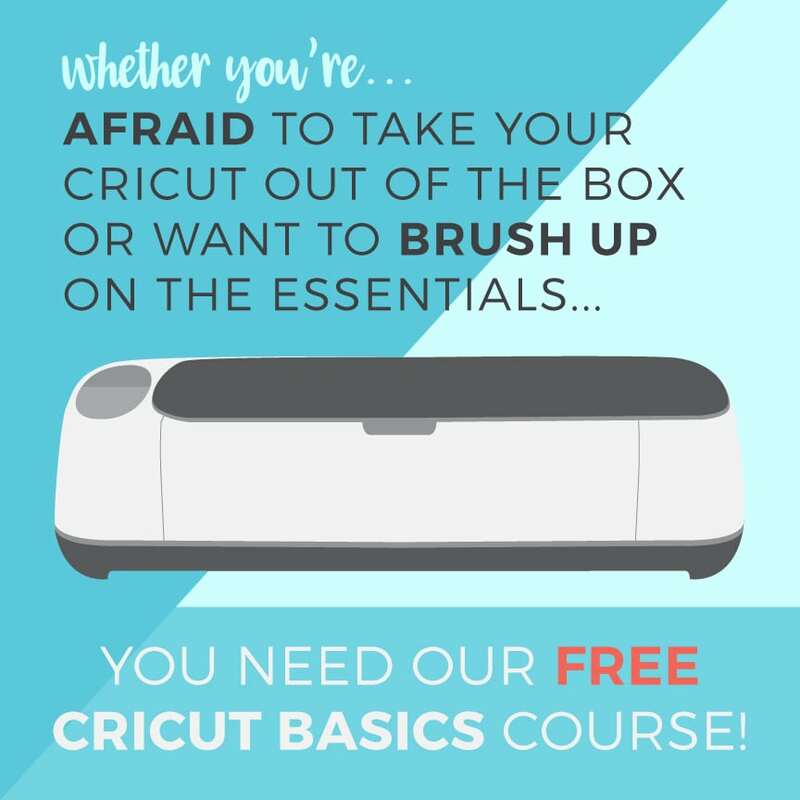 With the Cricut Explore Air, you simply turn the dial to select the material that you are working with, and the machine takes care of the rest – easy peasy! 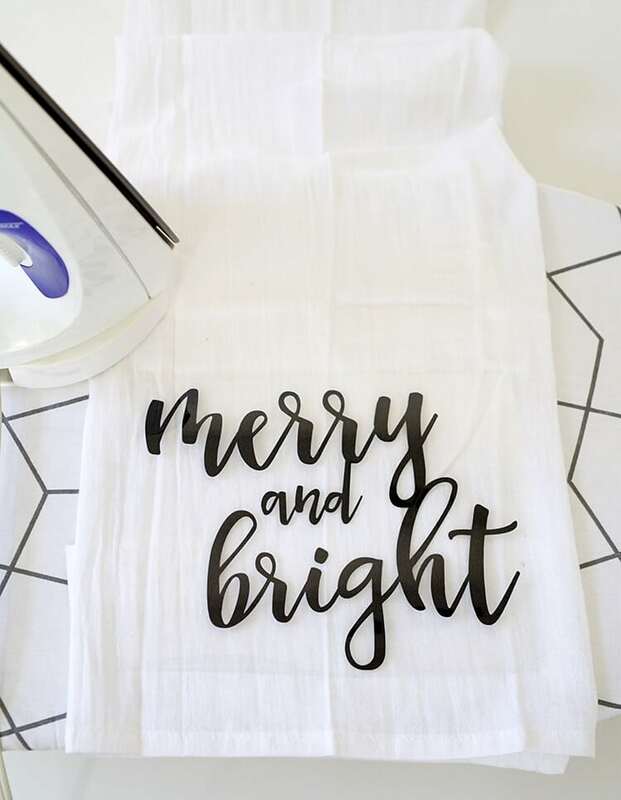 For this project, set the dial to “Iron-on” and you’re ready to cut! 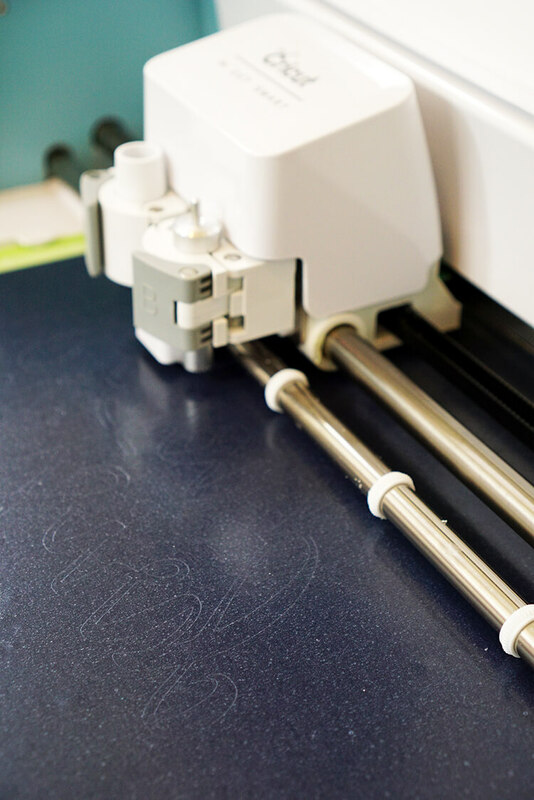 Place a sheet of heat transfer vinyl onto the cutting mat (shiny side down), load it into the machine, and hit the cut button (don’t forget to mirror the image since we’re working with heat transfer vinyl!). 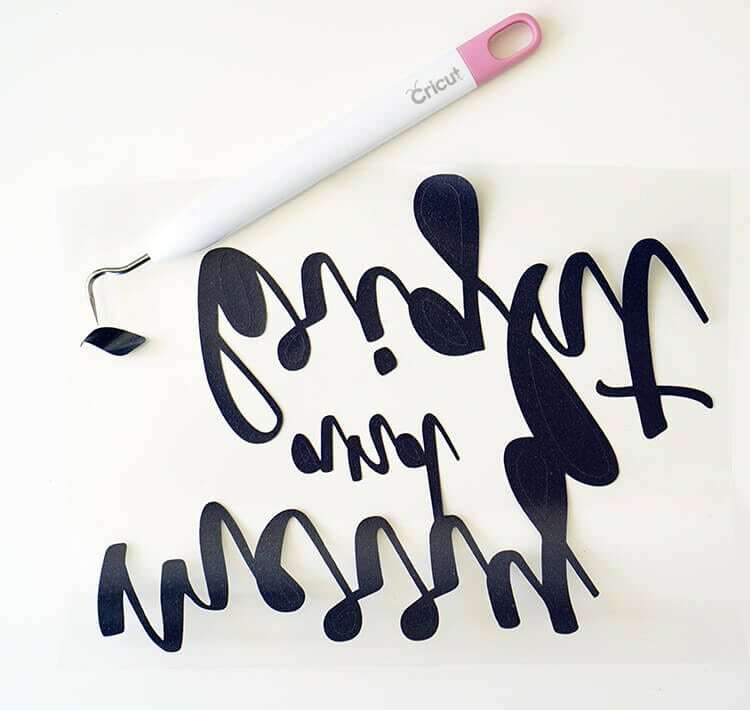 Use the Cricut Weeder Tool to remove the excess vinyl pieces from the design. I arranged the vinyl on top of my neatly folded tea towel, covered it with a piece of cloth (another tea towel, actually! ), and ironed it according to the directions on the package. 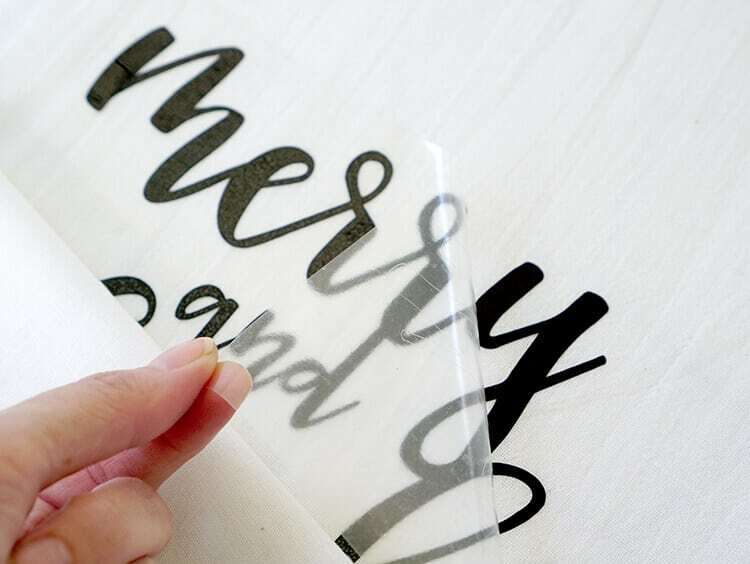 Once the heat transfer vinyl is firmly adhered to the fabric, peel away and discard the plastic backing. 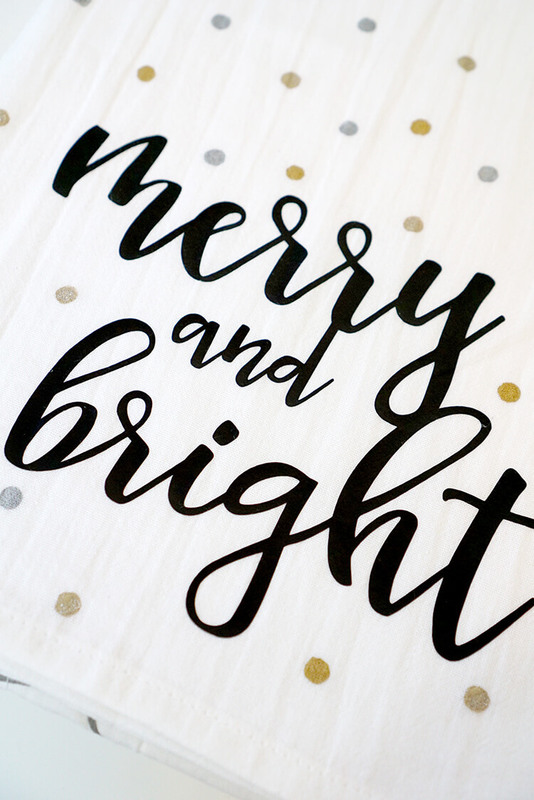 I slid a piece of cardstock underneath the top layer of the towel and used metallic fabric paint in gold, silver, and champagne to add some shiny polka dots. Allow the paint to dry completely before removing the protective layer of paper underneath! Easy peasy! These would make a super fun holiday hostess gift! where do you get the tea towels to make these? I like to purchase my tea towels in bulk from Amazon (you can find the ones I use here). Thanks for stopping by! Do you know the name of the font used please. Which font did you use for your design? The tea towels are darling. Hi, these are lovely. How many washes will the htv last? 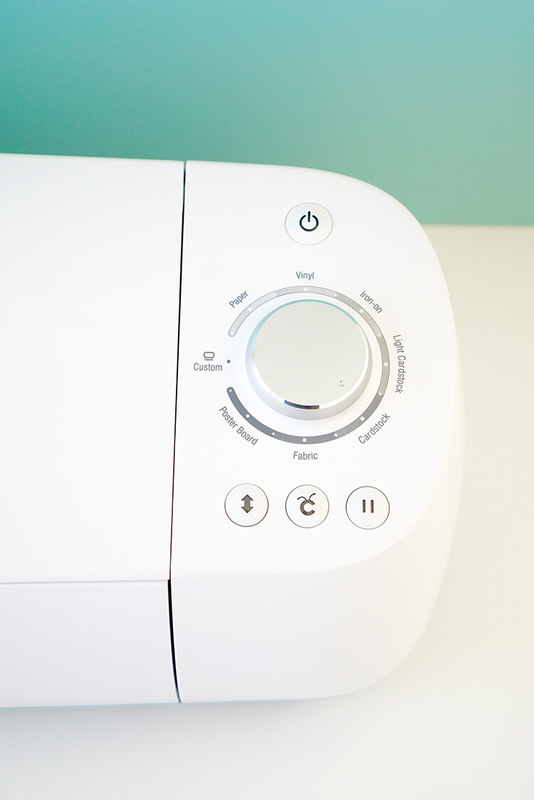 If you use Cricut’s Iron-On Vinyl, their StrongBond guarantee promises that it will last at least 50+ washes, but they’ve tested it to last a lot longer than that!